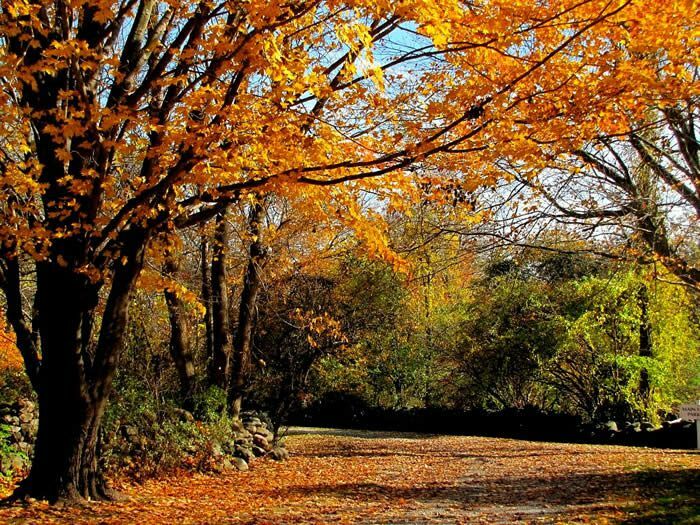 The Connecticut country is absolutely stunning regardless of the time of year, and Stonecroft Country Inn is an excellent opportunity to enjoy it in microcosm. Our 6.5 acres of grounds offer all that the beautiful New England countryside is known for: gorgeous flowers, luscious greenery, spectacular Fall foliage, and startling white blankets of snow across the landscape in the winter. We welcome you to a brief virtual tour of our grounds, and hope you’ll plan a visit to experience the Stonecroft Inn any time of the year! 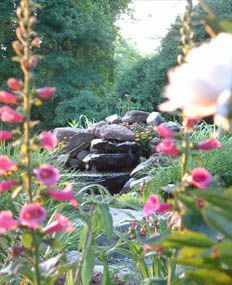 Throughout the year, Stonecroft’s 6.5 acres of grounds feature an ever-evolving landscape. In the Spring, each passing week heralds a new flower springing to life in the lush gardens. Observe the arrival of the birds and butterflies. It’s magical. Summer beckons you to wander through the stone pathways and over to the terrace to take in a beautiful sunset. Listen to the waterfall in the koi pond. Rest and read on a secluded bench near the stone walls. And finally, sit around the fire pit with new friends, enjoying the lush surroundings. In the Fall, experience the famous Connecticut fall foliage as our trees and the surrounding hillsides begin to show their spectacular pallet of orange, yellow and red and the evenings grow cool. Drive through the neighboring back roads and enjoy the vibrant splendor. In the Winter, our gardens sleep under their blanket of white, quiet under the clear star-filled skies at night. Our guests, meanwhile, stay warm thanks to our cozy suites and toasty fireplaces.